Fritillaria imperialis species and hybrids are amongst some of the most impressive and ornamental of all specimens from the genus Liliaceae. They flower and seed readily and while they are available to purchase as corms or pot-grown plants they can be expensive. Be that as it may, Fritillaria imperialis are relatively simple to propagate from seed so long as it is collected and sown when the seed is ripe. Sow the seed fresh from the pods in July or August, as soon after harvesting as possible. Sow them into 4-5 inch pots containing a good quality compost such as John Innes 'Seed and Cutting'. Then add a further layer (approximately 1/4 inch) of compost, horticultural grade coarse sand or grit and place in a cool greenhouse or cold frame. Unlike most other Fritillaria species you may well have to wait until the following autumn for Fritillaria imperialis seeds to germinate. Keep the seedlings moist and avoid the tiny bulblets drying out completely. Overwinter in the cool greenhouse or cold frame, then prick out the largest seedlings into individual pots in the spring. Discard any weak or deformed seedlings. Continue to grow under protection until they reach flowering size, at which point they can be planted into outdoor beds in September to November, 8 inches deep. Be aware that the foliage is a particular favourite of both slugs and snails. It is good practice to plant them on their side so that the hollow crowns do not retain water during periods of heavy, winter rain. Some growers also like to plant them in a pocket of coarse sand to improve drainage around the corm. 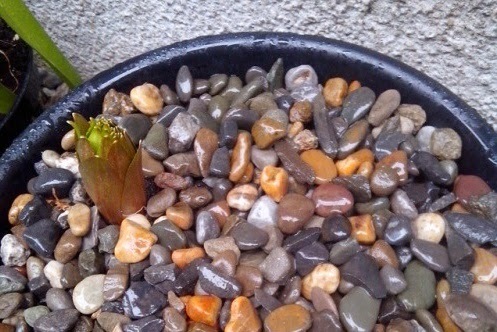 Be aware that it can take between 4-6 years before Fritillaria imperialis bulbs will be large enough to flower. 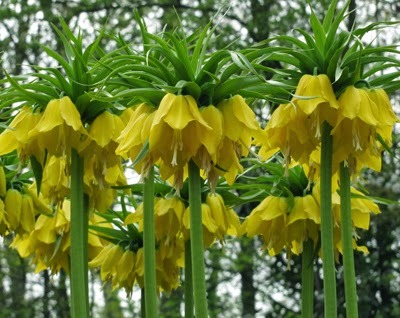 Grow Fritillaria imperialis in fertile, well-drained soil in full sun or partial shade, preferably in an undisturbed border. Keep an eye out for lily beetle once they are grown out of being under protection. I have fritillaria imperialis comming up in my yard every year. They have a black stem with beautiful red flowers. i'm wondering what species this is? I have been keeping some of the seeds. 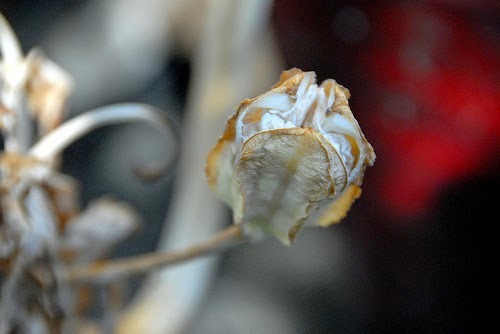 The seeds are dried out. Can I still use the seeds for planting since they are dried out?